NARRA Interview with Mike McGinnis of Innovative Tuning. 1. You ran Time Trial with NARRA at Watkins Glen, Pittsburgh, and Lime Rock in 2014. Can we expect to see more of you in 2015? We’re making some big shop improvements this year which I’ll be announcing in the next month or two. Those investments in time and money have to take precedence over my racing this year, but NARRA events at Watkins Glen and Pitt Race are top priorities if we bring the car out. If it’s not possible in 2015, I plan to be back with NARRA in 2016! 2. How did you hear about NARRA and what was your first race with us? Initially I was looking for track time at Watkins Glen to shake down my car after a winter rebuild. NARRA happened to have an event that weekend so I found you quite by accident. After getting on track with NARRA and experiencing the excellent organization and communication the staff has, the high level of competition on track, and contingency support, I knew I wanted to do more events with NARRA. Your staff caters to competitors in ways other sanctioning bodies don’t, making events special, and I really appreciate the effort. 3. Your Subaru is named Voltron. Is there any story behind that? In 2007 I was invited to participate in a charity event to benefit The Riley Hospital for Children in Indianapolis. I didn’t have a car fit for the competition, so my team built a project car in 2 days by enlisting a group of friends to help make it happen. In two days we brought together the collective parts to transform a base model 110 horsepower 1996 Subaru Impreza into a tire smoking monster. We had 7 guys working on the car handling everything from mechanical work to standalone ECU wiring. With parts taken from multiple other cars including coilovers from a gravel rally car, turbo engine from a daily driven Subaru Legacy Sport Sedan, transmission from a WRX, rear subframe and suspension arms from an Impreza RS, the car that came together in time for the Race for Riley was truly unique. Because of the mix of parts that came together from various platforms the car became known as Voltron. Since then the car has evolved into something greater, but the spirit remains the same. 4. Subaru’s are obviously something you work with. What is Innovative Tuning? 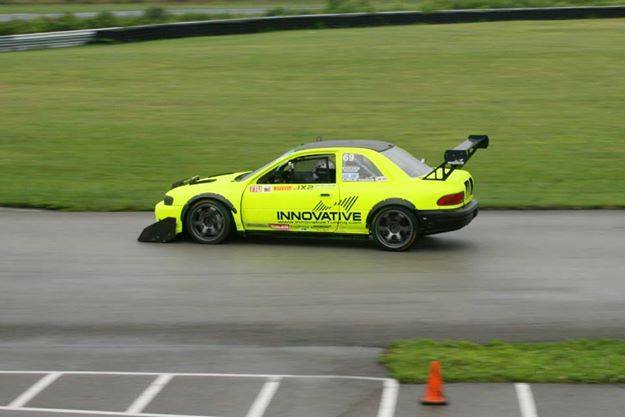 Innovative Tuning is the premier import tuning facility in the Western NY region, spanning into southern Ontario. Since 2004 we’ve specialized in all aspects of automotive performance from project planning to parts selection, fabrication, welding, installation, service, repair, chassis dyno and track tuning. We work on many types of cars, but I’ve been around Subarus since I was a kid and their engine setup is unique so our many years of testing on and off the track has set us apart in that market. Our great customers continue telling their friends about us and the rest is history. In early 2015 we’ll be announcing some big steps further forward in what we can offer our customers so the best is yet to come.